Rachel: I’m good! I’m great! How are you? Stuart: I’m doing well! Thank you for sitting here talking with me for my Talk Through It series. I’m really glad that we have an opportunity to talk and I think we can talk a little bit about your journey because you’re a Young Artist on this project. 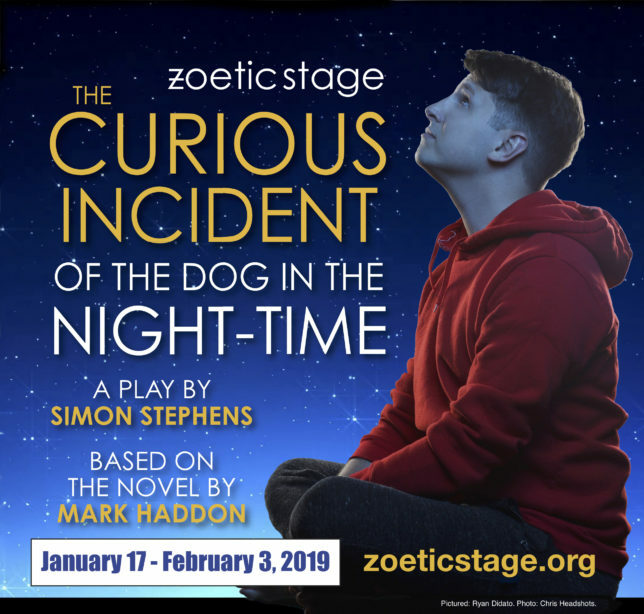 A Young Artist is geared towards college level students to get their first professional experience in a production working backstage or onstage in the play, as is with this one The Curious Incident of the Dog in the Night Time, you are onstage! Rachel: I know! It’s crazy, I love it. Stuart: You’re a senior at New World School of the Arts, and I’m your teacher there. Rachel: Yes! And Yes you are! Stuart: So can you talk to me a little but about your process with the play? Rachel: okay. Starting the process I was very nervous I didn’t know what to expect I didn’t know how professional productions worked, I didn’t know how professional ensembles worked so I was very nervous going into it. But then, from the very first day I realized it wasn’t anything crazy or to different it was just everyone was there for the same reasons and goals. Everyone was there to give their best every single day, and that was really cool to see and really exciting to see, even when people had bad days it was still about getting the job done. There was never any distractions or any times where it didn’t feel like we were accomplishing something, which was really cool! Stuart: That is really cool! What did you mean when you said “different”? How rehearsals are in college? Rachel: yes! I was very scared! Stuart: I was too! How did you feel about this play? Rachel: I had never read it before so when I heard I was going to be part of it I read it and it’s very different on paper than when it gets put up onstage, and when we read it as a cast, that’s when I really started to love it. When I read it by myself I thought “okay this is good” but when we read it together as a cast and we talked about it I felt “wow, this is something that could be really special” and I feel every night when we do it that it is really special. Stuart: I agree with you, and my real test is that I want to be around you all during the production! And that doesn’t get to happen because of my schedule, but everybody in this particular production brings so much warmth and joy to the play that gives me an incredible amount of joy watching it and being around you all, and I know that you laugh all the time when you’re with everyone. Rachel: Yes, I do laugh all the time! Stuart: And it’s good to laugh! Can you name things that you’ve learned in the process? Rachel: I think the number one thing I really learned is that you’re an ensemble. Before it was “you’re an ensemble you work together”, but no. We’re really working together—my movements revolve around other people’s movements, everything is intertwined with us and I love that. Stuart: Even though Ryan is technically the lead, but he’s dependent on you, and you’re dependent on him for a lot of stuff. Rachel: Yes absolutely, and it’s so great it’s so wonderful, we’re always connected it’s never just “you” onstage moving somewhere, its’ “we” are onstage and “we” are onstage together. Which I love. 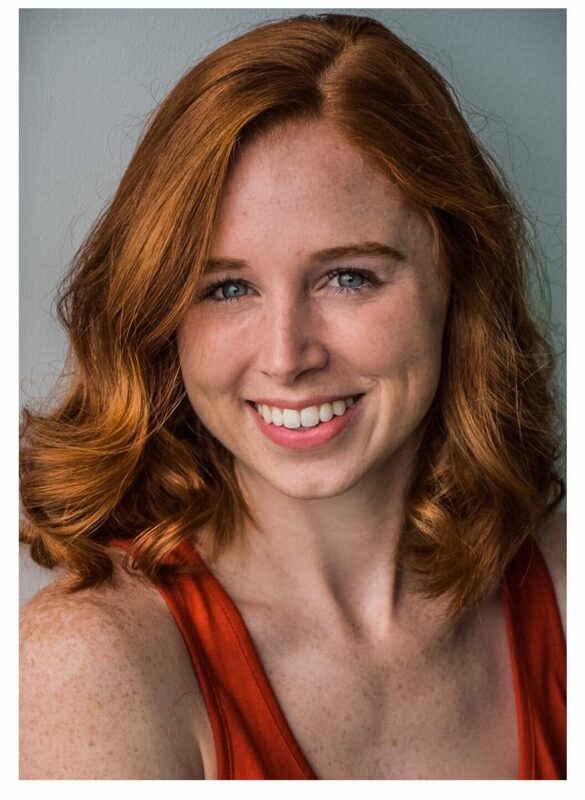 Stuart: How is it working with a fellow NWSA graduate? Because Ryan was also my student and he graduated about 10 years ago. Is that cool? Rachel: It is cool. When I met him, one of the first things I asked him was about what he’s done since he graduated, how he’s done work after, and that’s really wonderful because that’s going to be a similar path I go on when I graduate. Stuart: Well thank you for speaking to me!